It’s called Brampton Meats because the two families that own this new business are recent transplants from the city of Brampton — wooed here by Ottawa friends, I was told, and to escape the glut of competition they felt from the suburban GTA. I rather stumbled upon this place when gassing up. I was hungry, it was lunchtime, and as I was feeding the tank on the corner of Woodroffe and Meadowlands, I spied a red and white sign that that read Brampton Meats. A new butcher shop? And then beneath that big sign, a second, smaller announcement that required closer inspection: Authentic Indian Takeout. The takeout I sampled — a vegetarian thali and a ‘non-vegetarian’ thali — though generous, certainly affordable, and with the exception of a fabulous goat curry, turned out to be pretty average. 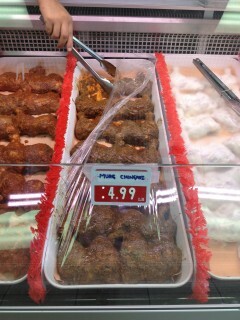 But in the display case were a half dozen trays of marinating chicken legs of various hues. A visual feast. I asked for an explanation and was led through the options. 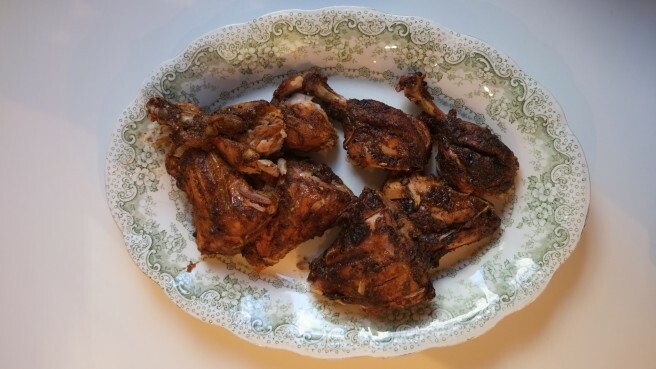 I chose the darkest two: Bhatti da murg and the Bengali dish murg (chicken) “chingari.” I took home my legs, let them marinade a few more hours, and then grilled them over low heat on the ‘cue. The Bhatti birds were robed in a ginger-garlic paste with no shortage of red chilli power, and were fragrant too with cloves, cardamom, coriander seed and with a vinegar tartness. The Chingari was darker, soothed a bit with coconut milk, and tasted as though cinnamon were in the mix of spices. 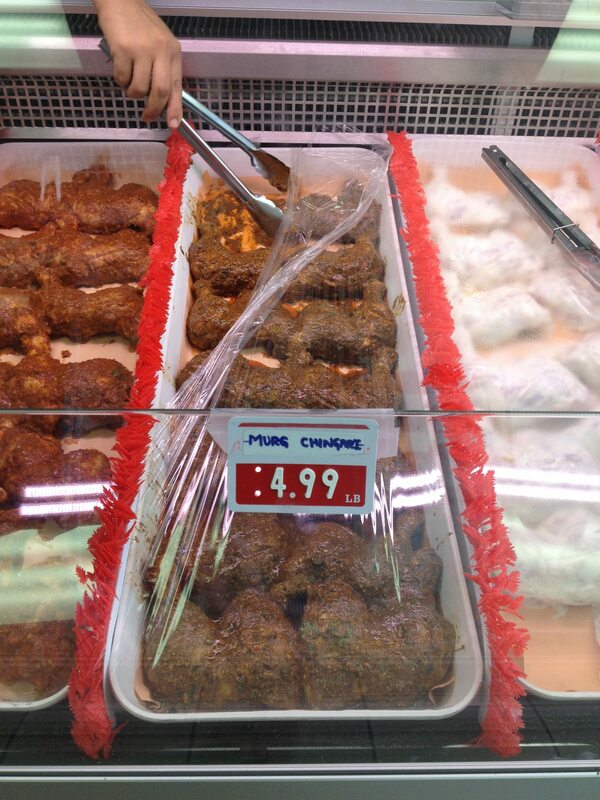 Still, both marinades tasted complex and both had plenty of lip tingling pow. There were gentler versions — a so-called lemon chicken, say, and something called ‘mild BBQ chicken’ — but we were after authentic heat and flavour and feel we were delivered of both in immensely satisfying fashion. Open daily from 10 a.m.